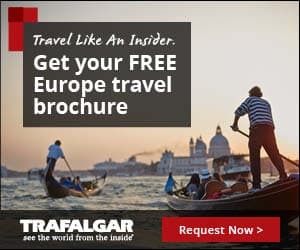 Travel like an insider with Trafalgar and their free travel brochures by mail. Sign up here to receive free international travel brochures to Europe. Plus you can save up to $827 per couple with the 5% Early Payment Discount (EPD) on 2015 Europe summer trips when booked and paid in full by April 30, 2015. See the world as an insider with free travel brochures by mail.